Following its global reveal at The 2019 LA Auto Show, the all-new 2019 Nissan Maxima will be making its first “Canadian Auto Show Debut” this February at The 2019 Canadian International Auto Show in Toronto. 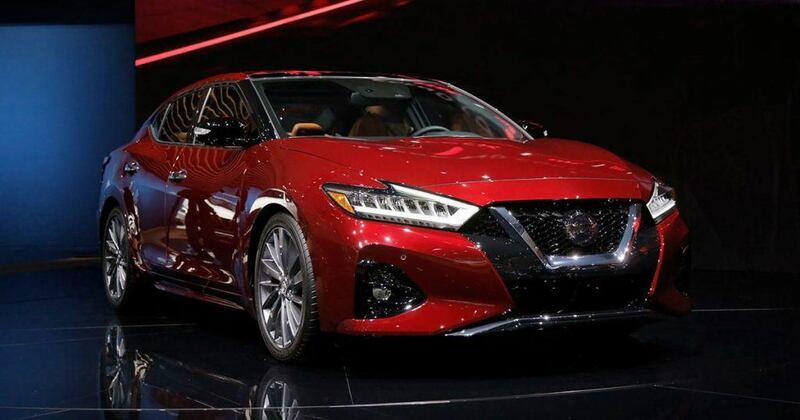 The 2019 Nissan Maxima has been created by Nissan Design America in La Jolla, California. 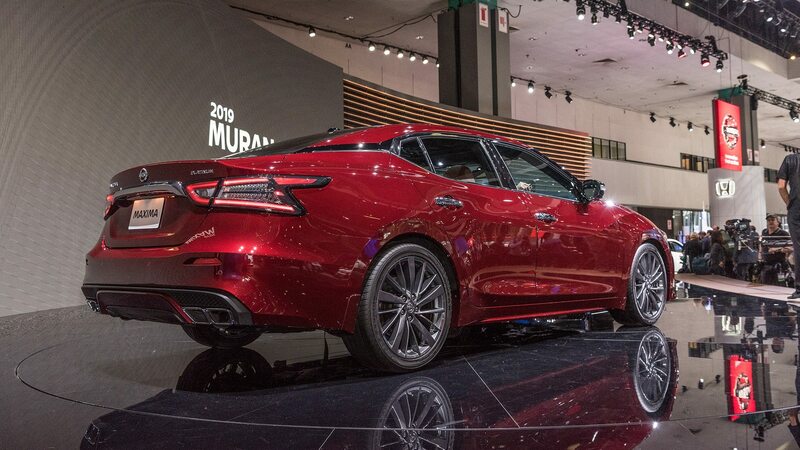 Coming in three trim levels – SL, SR, and Platinum – the 2019 Maxima has been refreshed with a more aggressive exterior, including standard 18-Inch Alloy Wheels, an Enlarged V-Motion Grille, and standard LED Headlights. Stepping up to the SR Trim will get you 19-Inch Black Alloy Wheels, and a Sporty Rear Spoiler, while the Platinum trim level provides 19-Inch Alloy Wheels. All three trim levels come equipped with Nissan’s 3.5-Litre V6 Engine, with 300-Horsepower, and Continuously Variable Transmission (CVT). Inside, you will find standard Leather-Appointed Seats, a standard 8-Inch Color Display Screen, along with the standard AM/FM/CD Audio System with MP3/WMA Reader and 8-Speakers! Also included is the 11-Speaker Bose Surround Sound System! Plus, NissanConnect with Door-To-Door Navigation, AppleCar Play, Android Auto, and Premium Traffic Information, also all come standard! The all-new Maxima also offers available Nissan Safety Shield 360, which is a Suite of Six Driver-Assist Technologies, including Intelligent Emergency Braking with Pedestrian Detection, Blind Spot Warning with Rear Cross Traffic Alert, Lane Departure Warning, High Beam Assist, and Rear Intelligent Emergency Braking. Nissan Safety Shield 360 supports the Nissan Intelligent Mobility Vision to redefine how cars are driven. If you are interested in stepping into a new 2019 Maxima, then please have a look at our 2019 Maxima Online Inventory, or stop by Guelph Nissan, where one of our Sales Consultants would be happy to help you!